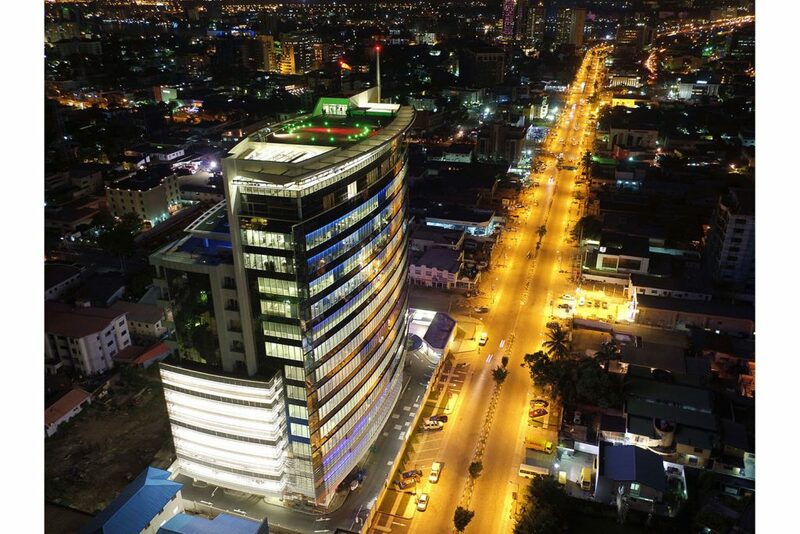 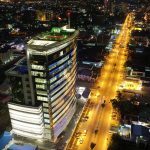 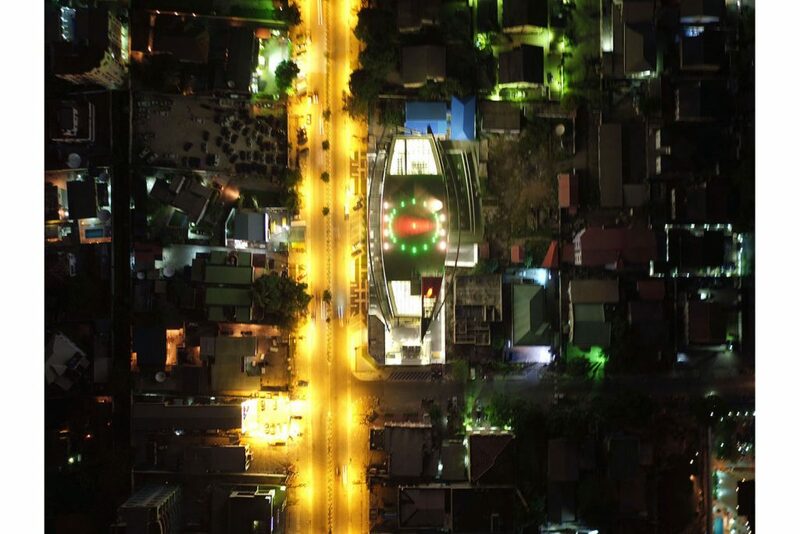 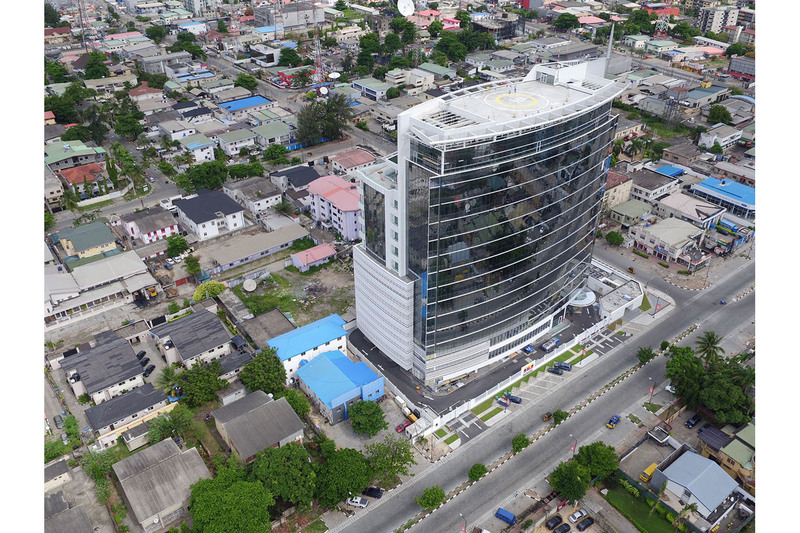 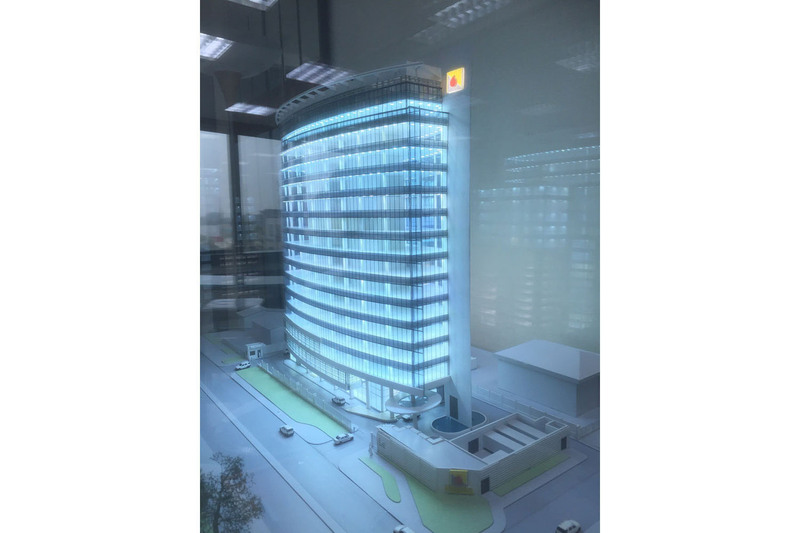 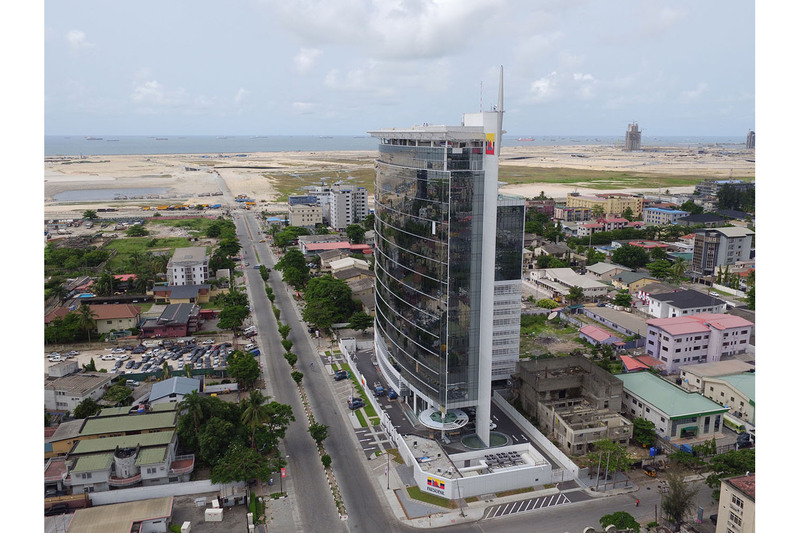 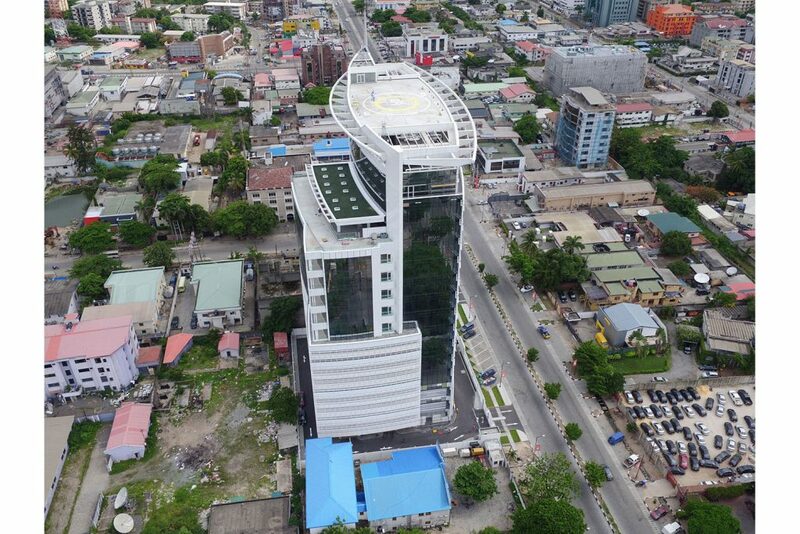 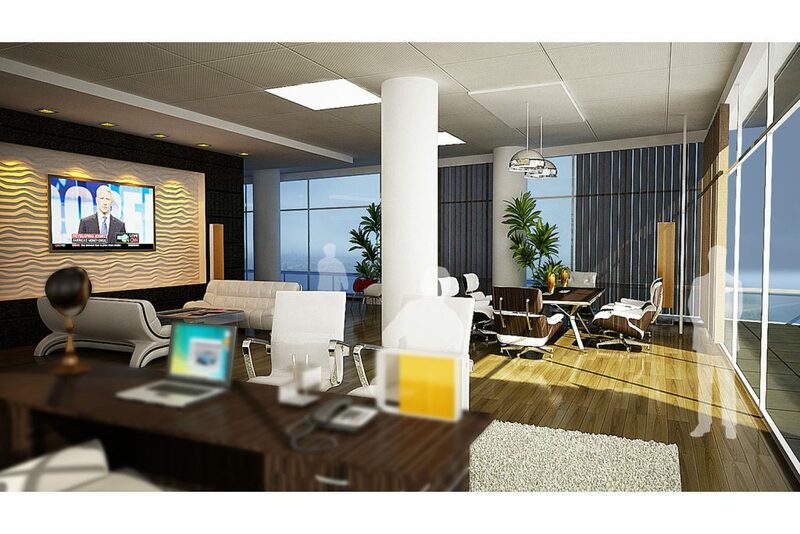 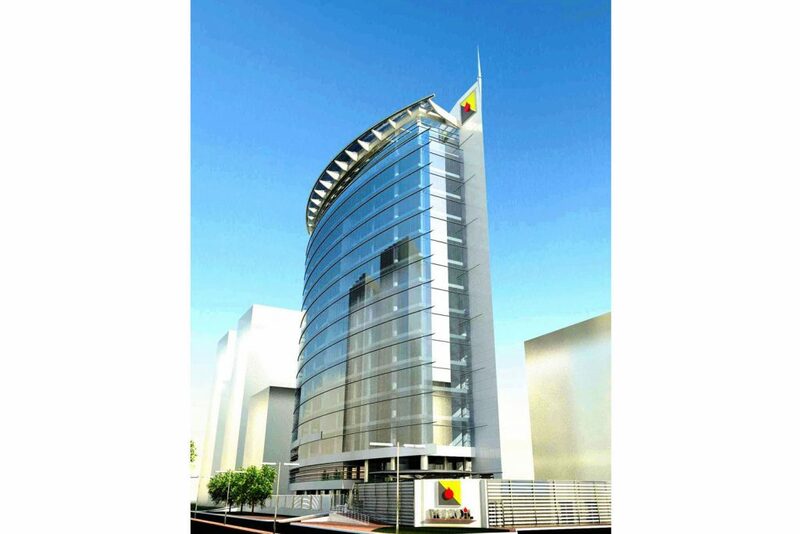 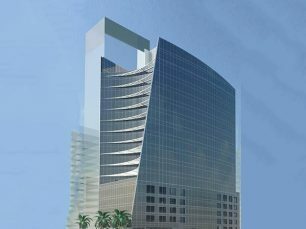 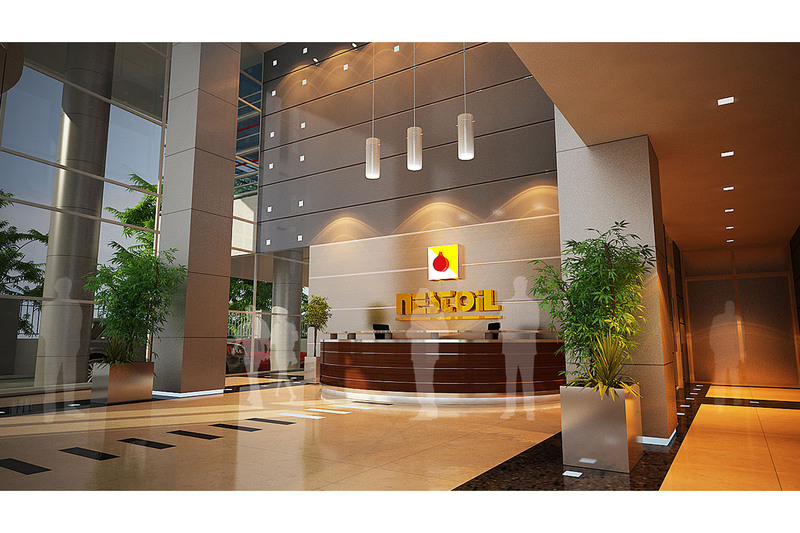 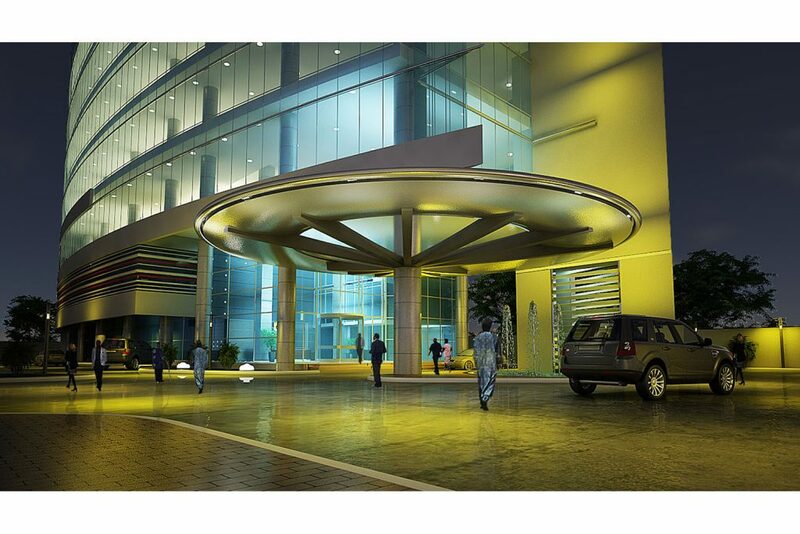 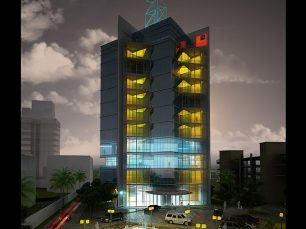 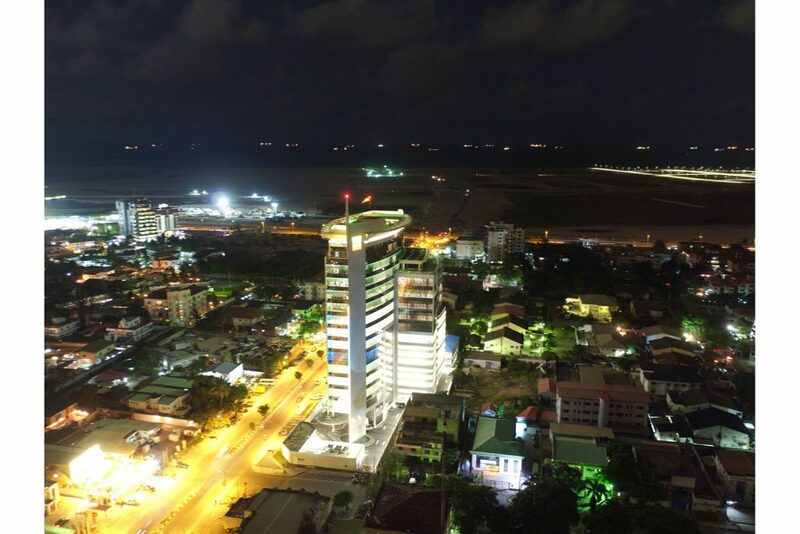 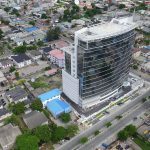 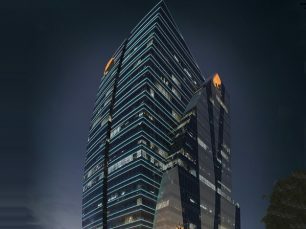 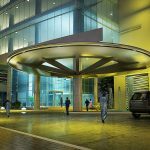 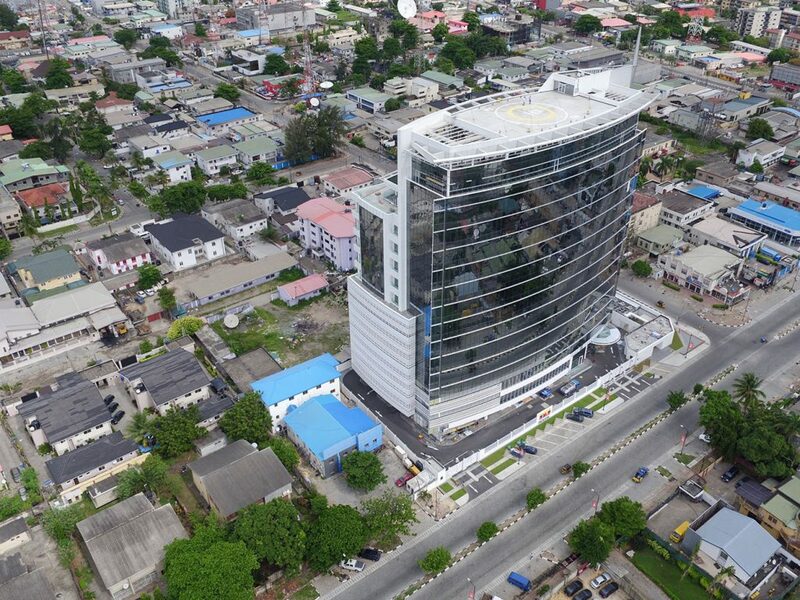 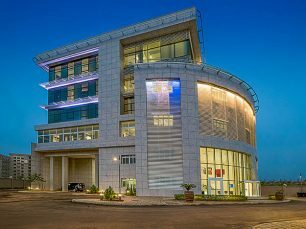 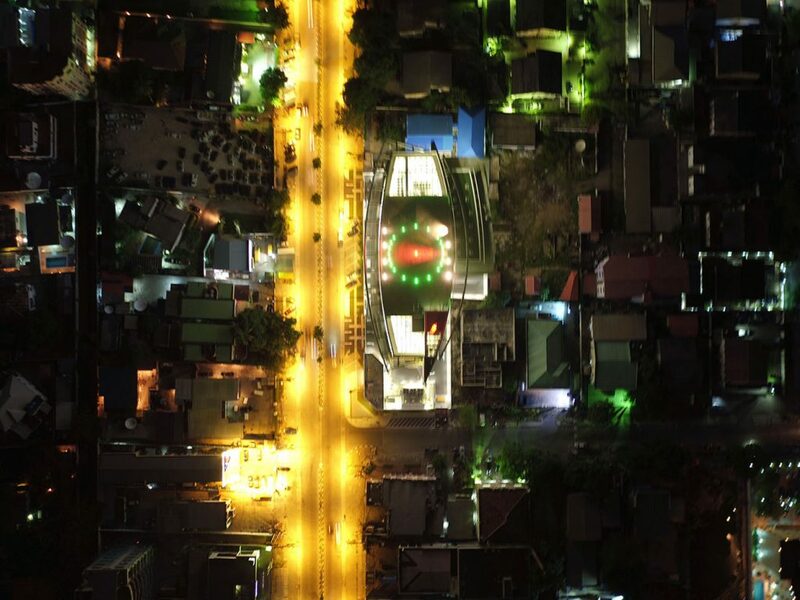 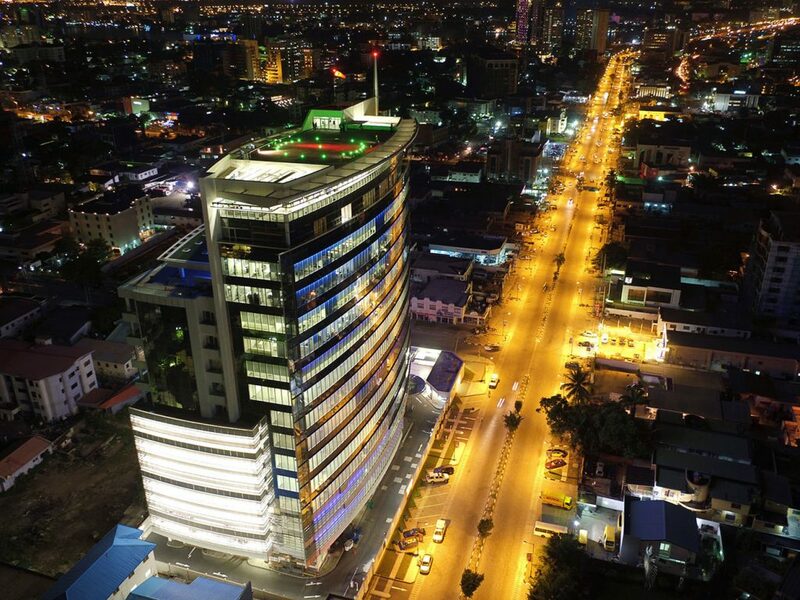 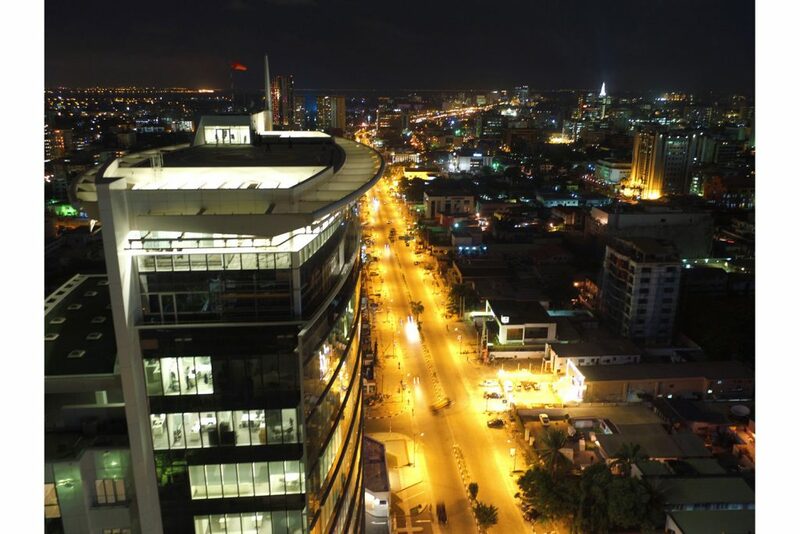 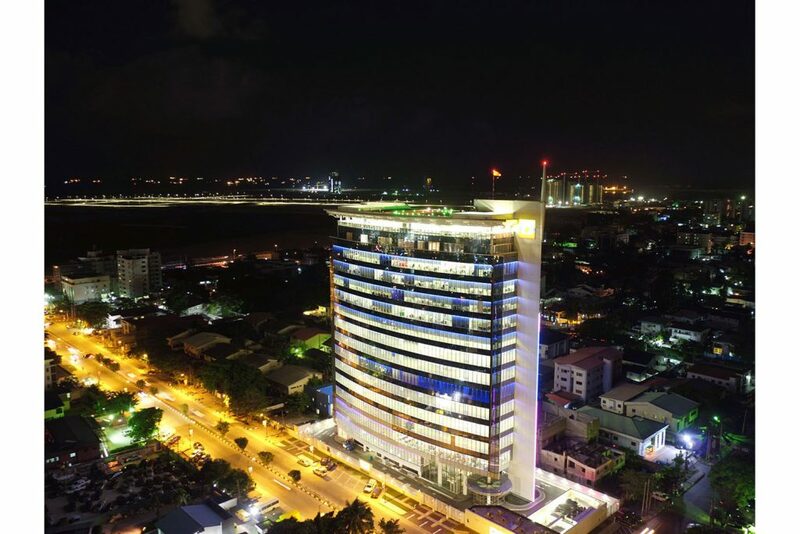 The Nestoil Towers is a fifteen storey mixed-use development consisting of 7,500 m2 of office space, 3,50 m2 residential space, a multi-storey parking facility as well as a recreational facility. 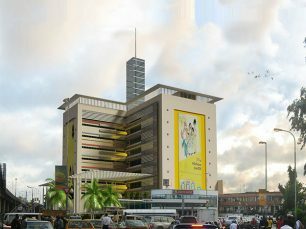 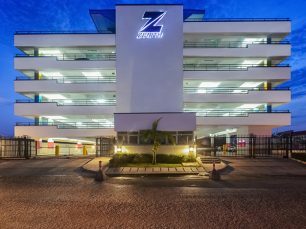 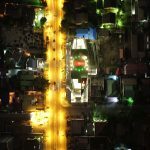 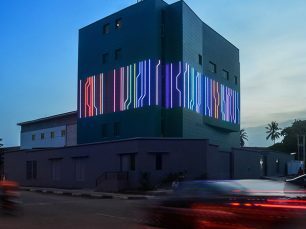 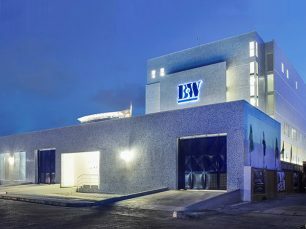 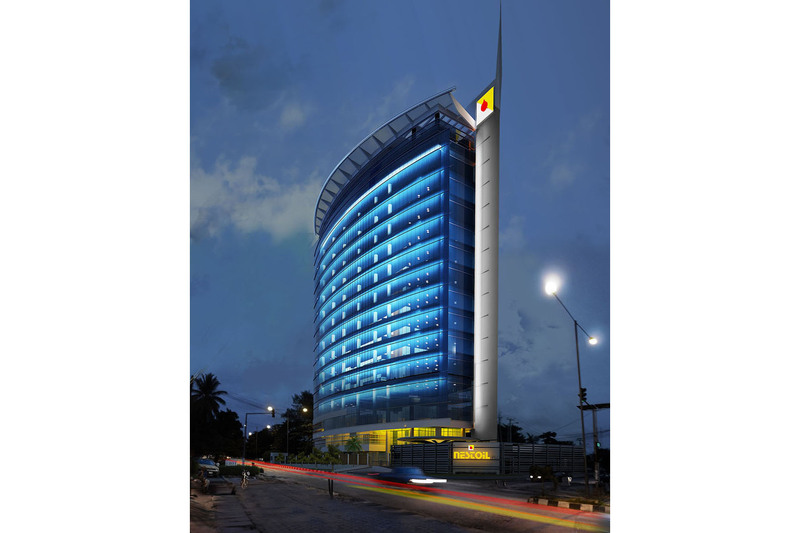 Strategically located at the intersection of Akin Adesola and Saka Tinubu streets in the central business district of Victoria island. 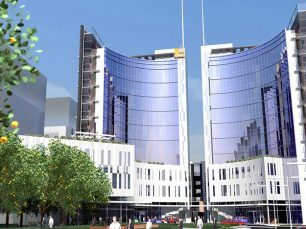 The building form was created using gentle curved surfaces of high performance glass with horizontal tubular details which accentuate the sweeping effect of the curved façade. 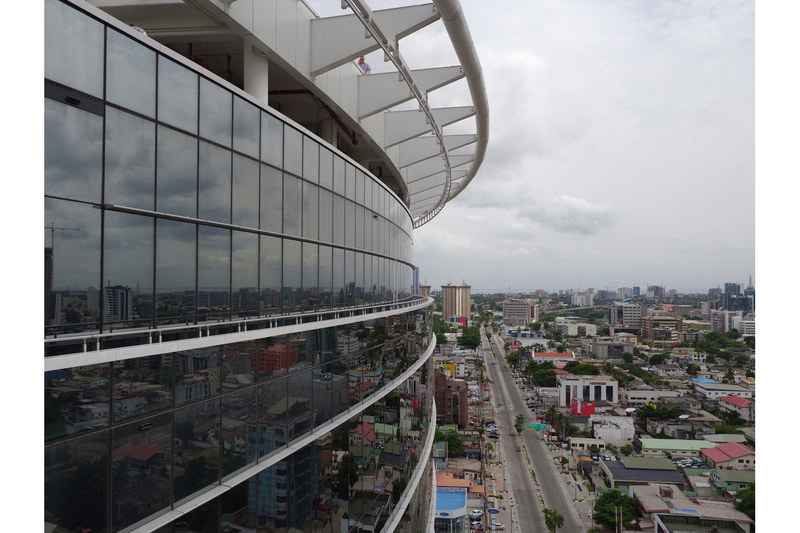 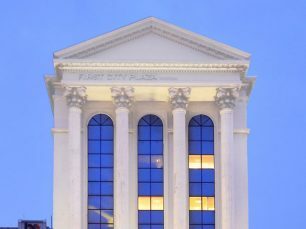 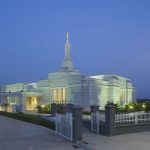 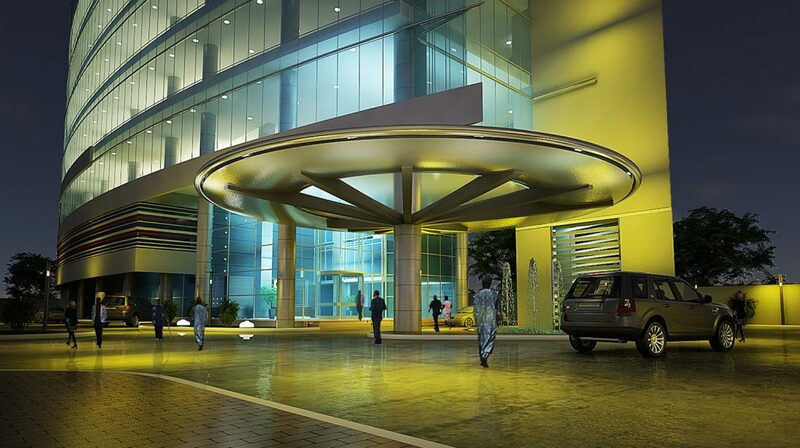 The arced curtain walls are further defined by a surround of solid white metal panels to complete the contemporary composition of this building.